Now, I don’t know if you guys have heard but there is a 6-ton dead satellite that is currently hurtling towards Earth and will make contact sometime tonight or over the weekend. 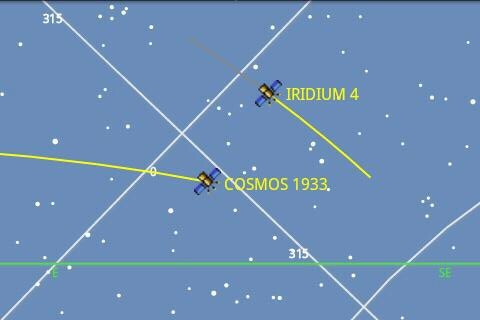 In effort to keep our readers safe from a horribly (funny) demise, I thought I’d bring to your attention an app currently available exclusively to Android users that allows you to monitor satellites in our Earth’s orbit (even the falling ones). Using augmented reality the Satellite AR app allow you to simply point your device into the air and take a look around at all the satellites you never knew were there. Waiting. Watching. Listening. The developers have even added the temporary ability to monitor the trajectory of that bus-sized Upper Atmosphere Research Satellite that could be heading towards your home right now. 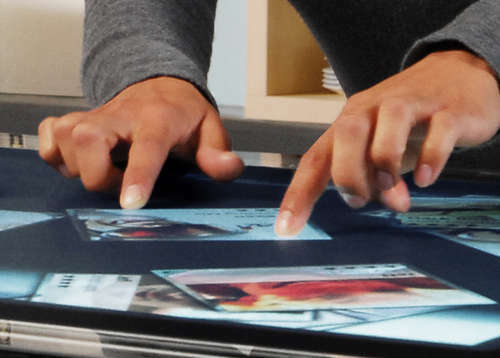 It’s too bad iOS users will be caught unawares. Using augmented reality the SatelliteAR app allow you to simply point your device into the air and take a look around at all the satellites you never knew were there. Waiting. Watching. Listening. The developers have even added the temporary ability to monitor the trajectory of that bus-sized Upper Atmosphere Research Satellite that could be heading towards your home right now. Too bad iOS users will be caught unawares. 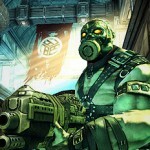 Madfinger Games has released the trailer for their upcoming third-person shooter, Shadowgun. The game has come a long way since we got our hands-on time with it back at E3 ’11 and it’s shaping up to be one of the year’s blockbuster titles. Built using Unity3D, Shadowgun will launch for iOS devices on Sept. 28th with Android Nvidia Tegra 2 devices shortly after. As for the rest of us — we’ll have to wait even longer than that with a vague mention that Shadowgun could launch for non-Tegra devices as well. Madfinger Games did confirm that a Tegra 3 Kal-El version in the works, so be on the lookout for that later this year. Shadowgun is visually one of the most impressive shooters we’ve seen on a mobile device and judging by the trailer, the pop-and-shoot gameplay looks to be top notch as well. Anyone else notice the main character’s uncanny resemblance to Bruce Willis? After 1 billion strokes taken with their hit iOS game Noodlcake Studios has finally brought Super Stickman Golf to Android. SSG features a whopping 280 unique levels (holes) complete 7 unlockable clubs. The physics based puzzler also features crisp HD graphics and more obstacles/hazards than you can shake a stick (or club) at. The premise is simple, find the right angle, adjust the power of your swing and try to get the ball in the hole with as few swings as possible. My favorite part? 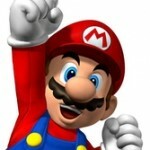 The amazing 8-bit chiptune sound track! The game looks great and I had an absolute blast playing it. You can download Super Stickman Golf for FREE right now from the Android Market. 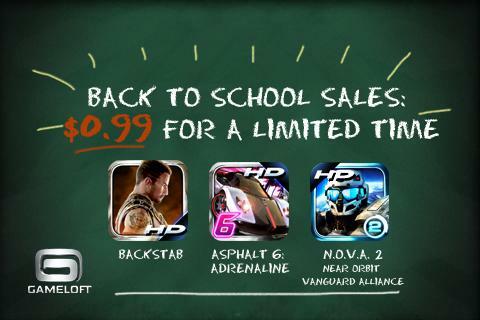 Because going back to school shouldn’t mean all work and no play, Gameloft is throwing their back-to-school sale on some of their hottest Android titles. 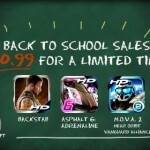 Games like action/racing Asphalt 6: Adrenaline HD, or futuristic first person shooter NOVA 2 HD. Don’t forget the action adventure BackStab HD. Okay easy, tiger. Before you get your hopes way up, I should note that not all of these titles are compatible with every Android devices — the HTC EVO 3D being one of them. 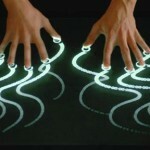 I’m beginning to reconsider that Epic 4G Touch all of a sudden. Oh- and for our iPad/iOS readers, don’t forget to hit up the source link for a full list of iOS titles. It was only about 2 weeks ago we told you guys about an ambitious Kickstarter project aimed at emulating iOS apps on Android. There were more than a few hurdles the iEmu team were facing to get this accomplished but after gaining 100% of their $20,000 funding, iEmu is officially dead in the water. Guess, it wasn’t as easy as it sounded. The developer of the project has yet to provide any info or reasons why the whole project was cancelled regardless — we can say this is a sad, sad day. 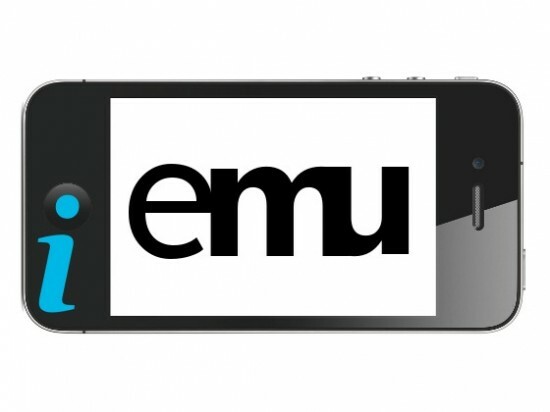 RIP iEmu. 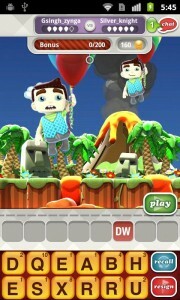 The creative force behind the insanely popular Words with Friends has now released another one of their hits, Hanging with Friends, to the Android Market. The game is based of the classic “hangman” but thankfully with better visuals than that stick character you used to draw with pen and paper. 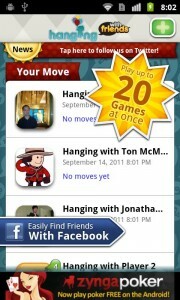 Like Word with Friends, you can play with up to 20 people simultaneously no matter if they’re rockin’ Android or iOS. Unfortunately, it doesn’t look like the game is available in all markets (couldn’t get it on my Evo 3D) but keep checking back as I’m sure Zynga will fix this issue soon enough. Click the Market link below and let us know in the comments if it’s working for you. In other words, NO. 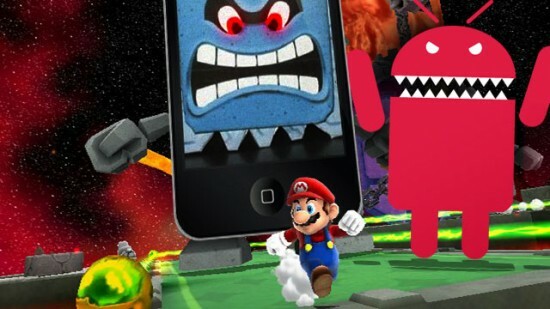 You have a greater chance at seeing Apple open source their software than Nintendo officially developing app games for smartphones. Guess it’s back to the emulators..